For two years I volunteered at the Union Mission helping people who lived in the shelter learn how to use computers and do Internet job searches. On one particular night, I met a student named Gary. He wanted to get back into the construction field. He knew so much about construction and what to look out for when hiring a contractor and the tricks of the trade. I told him that I needed some work done on my house, but I had no idea what it should really cost to fix the problem. I did not want to get ripped off. He said to me, “if I could see the damage I could tell you what it should cost to fix it.” Well, I didn’t walk around with pictures of my house in my pocket, but I really wanted Gary’s help. I checked my USB drive which I normally (but not always) have with me , but no pictures of the house. I then remembered that I also saved pictures to my Dropbox folder. I logged into my Dropbox account and there were my pictures. I showed them to Gary and he gave me some great tips. I was now armed with knowledge from a pro and was ready to deal with any contractor that answered my ad. 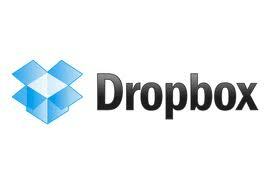 Dropbox is a simple and easy to use web-based file hosting service. In other words, you can copy your files to your Dropbox folder and since it is web-based, you will have access to your files from any computer (work, home, school, library, etc.) with Internet access. Now all you have to do to save your files and have access to them from ANY Internet active device is drag the files to the icon. It doesn’t get much easier than that. Dropbox not only saves your files, but it automatically syncs them as well. For example, lets say I have a Word file called “grocery list” already saved in my Dropbox folder. I also have that same file saved on the hard drive of my work laptop. I open the file from the hard drive of my work laptop, make changes and save that file. I then drag that file into my Dropbox folder. Dropbox is smart enough to recognize that I have made changes to the file. Dropbox will update the file with all the latest changes and then autotmatically sync the changes to the Dropbox website and any other computers where I have Dropbox installed. So when I get home, check my dropbox folder, the same exact updated grocery list file is on my computer. Pro 50 Plan is $10 per month for 50 GB of storage. Pro 100 plan is $20 per month for 100 GB of storage. Dropbox will also give you 25 MB of storage for free for each friend you refer and that actually signs up for the service…up to a max of 8 GB of storage. Privacy – I do not save any files to Dropbox that contain any sensitive information such as my social security number, passwords, credit card numbers, etc. Dropbox says that the only way someone (including their employees) can read your files is if they know your password. I’d rather error on the side of caution. So if something terrible happened to the files you stored at Dropbox, you would still have an alternate backup. Give Dropbox a try. I think you will like it. Click on the link below and then watch the video.